In business, problems are a fact of life. Entrepreneurs especially are subjected to major challenges on a daily basis, which stems from the fact that running a business puts you in contact with as much opportunity for mishap as being in an active war zone. On any given day, entrepreneurs are fighting aggressive competitors, hiring and maintaining a staff, satisfying unruly customers, tracking government regulations–the list of tasks is long indeed. One would reason that successful entrepreneurs must have a strategy for navigating these inevitable difficulties. They do. The good news here is that the most powerful tool for success in dealing with adversity is both free for the taking, and easy to explain: It is called the “Positive Frame“, and as and entrepreneur, you should always carry it with you in your back pocket. When something happens that feels like it is going to de-rail your business or cause you difficulty, I recommend taking a moment and reframing it as an advantage. This is called the “Positive Frame” and it can revolutionize your relationship with your team members, and enhance your business outcomes in powerful ways. This reflex strategy comes from the simple realization that the actual impact of problems is largely determined by how we choose to respond to them. 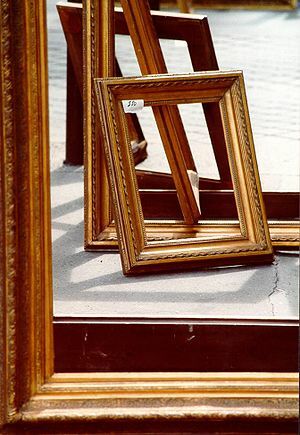 The opposite of the Positive Frame is to view everything as problematic — the “Negative Frame.” I know very smart people who live within a Negative Frame, and it hangs around their necks like a 500 lb. yoke of rusted iron. The sheer weight and drag of the Negative Frame can make even getting up from their desk a difficult task. People suffer greatly when they choose a problem-based world view, though this frame of their own creation seems natural and correct to them. Undeniable even. The Negative Frame is a very successful-feeling model because everywhere you look you will find problems if you expect to see them. In fact, we are such active participants in the creation of our worlds that if you expect opportunity, discrimination, or even communist conspiracies as you go through your life you will find evidence to support those biases as well. The problem-based world view is a common one in which the observer will often end up end up physically manifesting their actively-created problematic reality as knotted muscles, indigestion, headaches, and a pinched expression on the face. Ouch. (Fair disclosure: I used to be that person.) The irony is that if you take the same situations and choose to view them as opportunities, you are also right! Choosing the opportunity-based worldview of the Positive Frame, feels oh-so-much more fun, engaging and productive than the problem-based one. The Positive Frame also allows you to stay creative, engaged and effective when those around you need it the most. This clarity and direction in crisis is at the core of effective leadership, and is an essential tool that you can start using today.